Following last year’s success, WE ACT for Environmental Justice is continuing our UptownChats speaker series. UptownChats was born out of the idea that “Uptown” residents need a place to connect to policymakers and leaders about our unique concerns, and that we are powerful when we come together to make a change. WE ACT will bring Uptown leaders to network and engage thought leaders and public officials on topics such as energy, economic development, transportation, employment, civic engagement, parks and urban planning, public space and more. 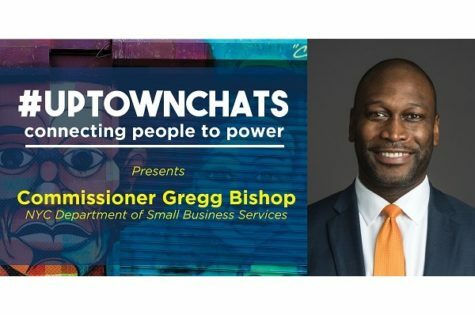 Join us for our first UptownChats of the year, which will feature Commissioner Gregg Bishop of the New York City Department of Small Business Services on Wednesday, May 15th from 6:00 – 8:00 pm at Gavin Brown’s enterprise (439 West 127th Street, between Convent/Morningside Avenue & Amsterdam Avenue). Commissioner Bishop will speak and answer questions about current initiatives at the Department of Small Business Services that help unlock New Yorkers’ economic potential and create economic security, particularly those that impact Northern Manhattan residents and businesses. RSVP here! Have questions about the event or how to become a sponsor? Want to suggest a speaker? Please reach out to doss@weact.org.